Shannon is a Director/Partner at Northern Foot Clinic. He is also Associate Professor and Head of the Discipline of Podiatry at La Trobe University. He completed his PhD in 2003 related to articular cartilage metabolism. Shannon has published more than 50 articles internationally and has been a consultant podiatrist to AFL clubs Carlton, St Kilda and North Melbourne Football Club. In 2016, Shannon was awarded a prestigious Fellowship of the Faculty of Podiatric Medicine, Royal College of Physicians and Surgeons (Glasgow) in recognition of his services to Podiatry. ​Samantha graduated from La Trobe University with a Bachelor of Health Sciences and Master of Podiatric Practice. Her interests in podiatry include the assessment and management of the high risk foot in those with complex health conditions, aged care, education on diabetes related foot and health complications and providing foot care to those that find it difficult to care for themselves. Whilst at university, she undertook her placements at the High Risk Foot and Chronic Wound Services at Northern Health, which sparked her interest in the management and treatment of diabetes related foot ulcers. Samantha grew up and went to school in the Northern suburbs. and her interests include spending time with family and friends, baking, cooking, arts and crafts and travelling to new places. Samantha is available for consultation on Monday, Wednesday, Thursday, Friday from 9am-5pm and every 2nd Saturday from 8am-12pm — please call the clinic on (03) 9004 2342 or use our online booking system to make an appointment. Jackson graduated from La Trobe University Bundoora with Bachelor of Health Sciences and Master of Podiatric Practice. 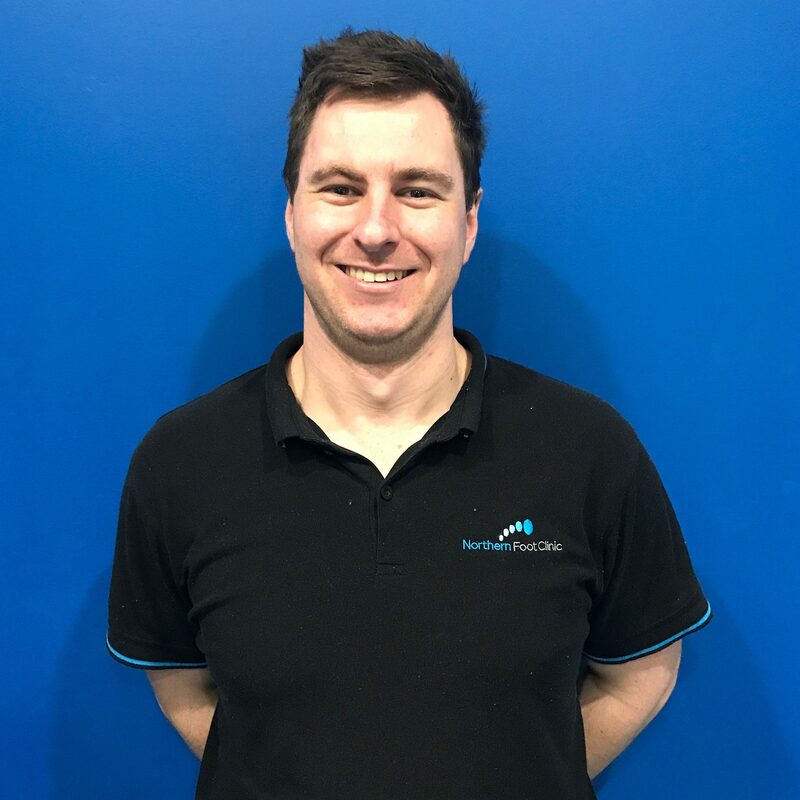 Jackson has a keen interest in musculoskeletal/sports injuries and has multi-facetal approach to rehabilitation; including assessment of the whole body in relation to the lower limb, using his strength and conditioning knowledge to provide individualised rehabilitation programs and various offloading techniques to help clients return to full activity as soon as possible. Jackson is trained in all aspects of podiatry including the high risk foot, diabetic foot care, injury prevention and injury rehabilitation. Jackson is available for consultation Tuesday, Thursday and Friday — please call the clinic on (03) 9004 2342 or use our online booking system to make an appointment. Lucy has a Bachelor of Science from The University of Melbourne and a Bachelor of Health Science/Masters of Podiatric Practice from La Trobe University. 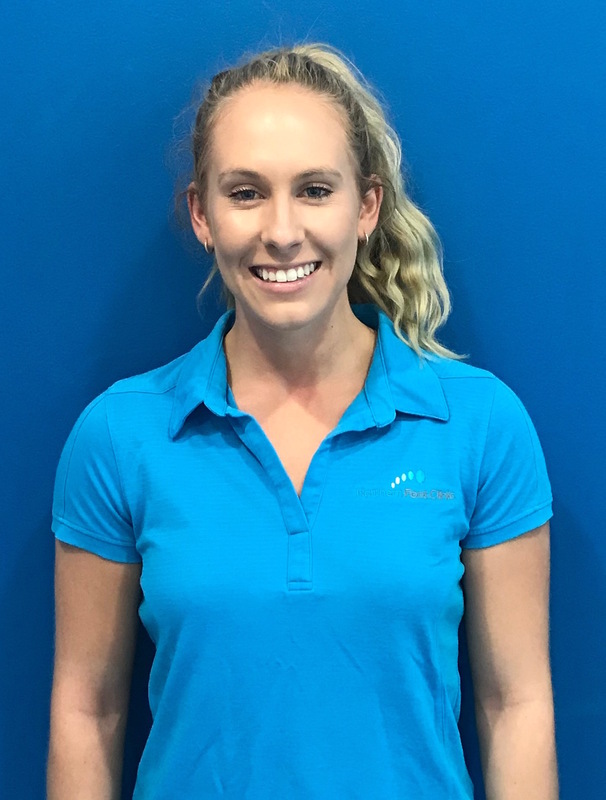 Lucy has a special interest in Sports Podiatry has worked as a lead trainer at local football and soccer clubs such as Lalor Football Club, Greensborough Football Club, Northcote City SC and Hume City SC. 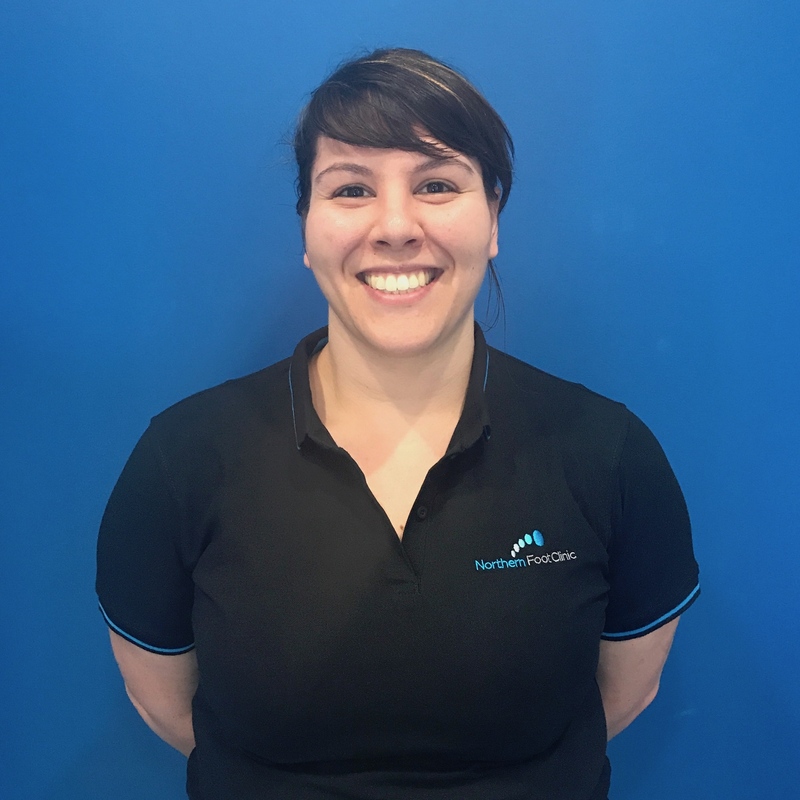 Lucy has a hands-on approach to treatment using techniques learnt from working alongside physiotherapists, osteopaths and exercise physiologists. Lucy has also trained in dry needling, foot mobilisation therapy and instrument assisted massage techniques. Lucy has over 18 years of training in classical dance and pointe and 6 years of teaching ballet to her name and can provide a comprehensive Pre-pointe Assessment as well as pointe shoe recommendations and modifications. In her spare time, Lucy enjoys running with her German Shepherd – Bruce, training to join the Army Reserves, and performing in musicals. Lucy is available for consultation every 2nd Saturday from 8am-12pm — please call the clinic on (03) 9004 2342 or use our online booking system to make an appointment. Eliza is available for consultation every Tuesday, Thursday and Saturday — please call the clinic on (03) 9004 2342 or use our online booking system to make an appointment. Indya graduated from La Trobe University with a Bachelor of Applied Science and Master of Podiatric Practice. Indya is interested in all aspects of podiatry with a keen interest in musculoskeletal/sports injuries, general care and diabetic foot health and education. Throughout her childhood Indya was heavily involved in sport. Indya’s greatest achievements include representing Victoria at the Australian Gymnastics Championships in 2010 and winning the 2012 Head of School Girls rowing regatta in the single scull. She has also been competitive in swimming and netball and is currently playing football in the Essendon District Football League. Indya’s sporting background has sparked a passion for dealing with musculoskeletal injuries. Having dealt with injuries herself, she appreciates the frustrations of injuries which can hold you back from your sport. During her podiatry studies Indya worked at The Athlete’s Foot, thus she holds an extensive knowledge in footwear and its application to biomechanics, foot posture and function. 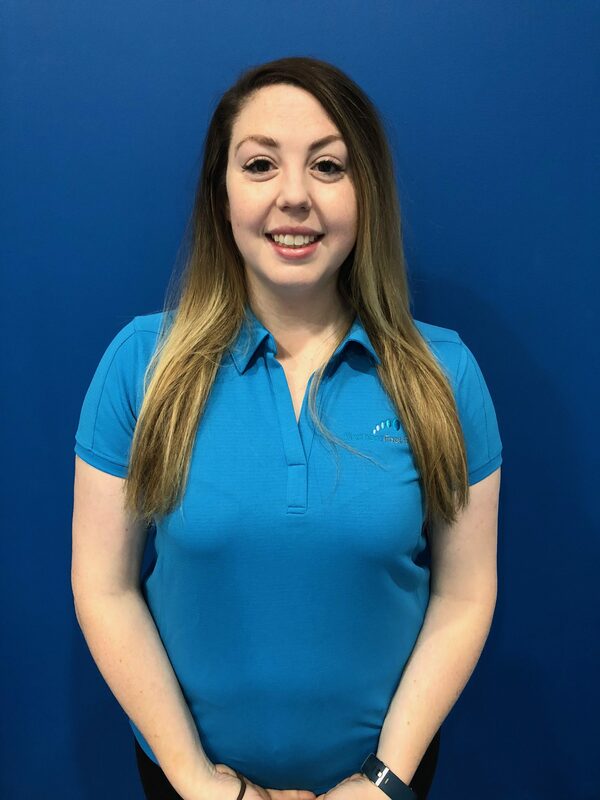 In her spare time Indya enjoys running, playing football, going to the gym, walking her Golden Retriever and spending time with family and friends. Indya is available for consultation Monday, Wednesday and Saturdays — please call the clinic on (03) 9004 2342 or use our online booking system to make an appointment. Ella graduated from La Trobe University with a bachelor of Applied Science and Master of Podiatric Practice. 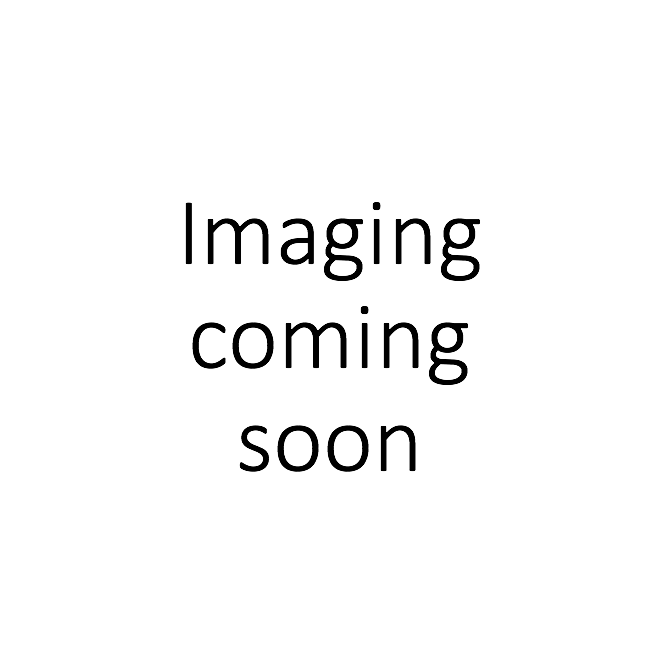 She is a keen sportsperson which has sparked a strong interest in the prevention and management of musculoskeletal pathologies, using a range of treatment techniques to provide a patient-specific approach to care. Ella’s experience as a podiatrist at The Royal Melbourne Hospital provides her with extensive knowledge in the assessment and management of patients with diabetes related foot complications. She enjoys using this experience to enhance the care of patients at the Northern Foot Clinic. Indya is available for consultation on Saturdays — please call the clinic on (03) 9004 2342 or use our online booking system to make an appointment.